Ningbo Ulrich Imp. & Exp. Co.,Ltd is located in Ningbo, Zhejiang, China. It takes 3 hours from Shanghai Pudong airport and takes 1 hour from HangZhou airport to our company. Our company mainly produced pet clothes for both fabric and knitted. Our monthly production capacity is approx. 40ftcontainers. We have our own researching and developing department, every month we recommend new items to our old customers. OEM are always welcome. 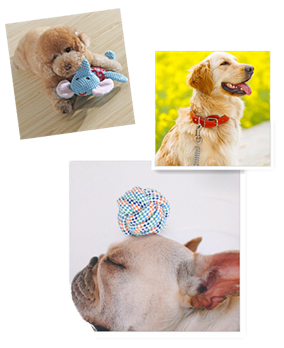 We also deal with a wide range of pet accessories, like pet toys, dog socks,dog leads & collars, pet brush, pet bowls & mats.Quality, service and new items are our enterprise's life. Based on that, We warmly welcome customers and cooperators from Abroad. We mainly producted pet beds,pet cushions and houses,pet plush toys,dog clothes,cat scratch trees.We also have 100 pet suppliers with strong relationships which product anything what you want. The MOQ is small that we accept the various enquiries. We have the same dream.We word together to solve problems.Being positive and optimistic makes our team stronger.Cooperation is the thorough conviction that nobody can get there unless everybody gets there. Behind Ulrich's success is a group of hardworking folks with a deep-rooted passion for pets and a penchant for being spectacular at everything they do. They're here at Ulrichtrade because they've found a place where good humor, talent, and posters of puppies are happily accepted. Most importantly, they embrace challenge with bare hands and believe that a customer-oriented culture is the only way to live.